The 2006 Kia Rio/Rio5 clinched the top position for the US market J.D. Power and Associates 2006 Initial Quality Study SM (IQS) in the sub-compact category. The Rio/Rio5 tied together with the Suzuki Aerio for the top position of the survey which measures 217 vehicle attributes over 8 categories including driving experience, engine and transmission as well as QC problems reported by buyers. 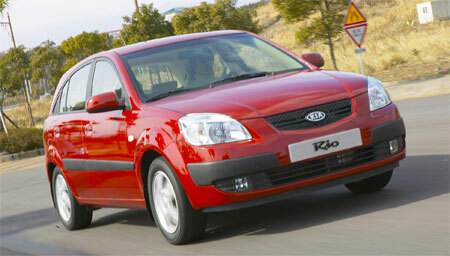 The Kia Rio/Rio5 scored 137 problems per 100 vehicles, the same as the Suzuki Aerio. Other winners of the award include the Lexus LS430 in the large premium car category, the Toyota Corolla in the compact car category, the Lexus SC430 for premium sporty car, the Mazda MX-5 Miata for compact sporty car, the Toyota Solara for midsize sporty car, the Porsche Cayman for compact premium sporty car, the Toyota Camry for midsize car, the Lexus IS250/350 for entry premium car, the Pontiac Grand prix for large car and the Lexus ES330 for midsize premium car. Looks like Toyota and it’s luxury brand Lexus managed to clinch top position in 7 out of the 11 categories in the car segment. Next Post: Auto Italia makes it easier to own an Alfa 147!